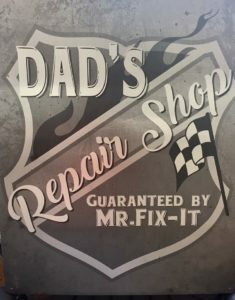 Man Cave Archives - OWOSSO Graphic Arts, Inc.
My husband is one of the hardest people to buy gifts for and when I was searching for the perfect Father’s Day gift I had an “aha” moment. His “Man Cave” is the garage where he’s always fixing things, working on our kid’s cars and puttering around. 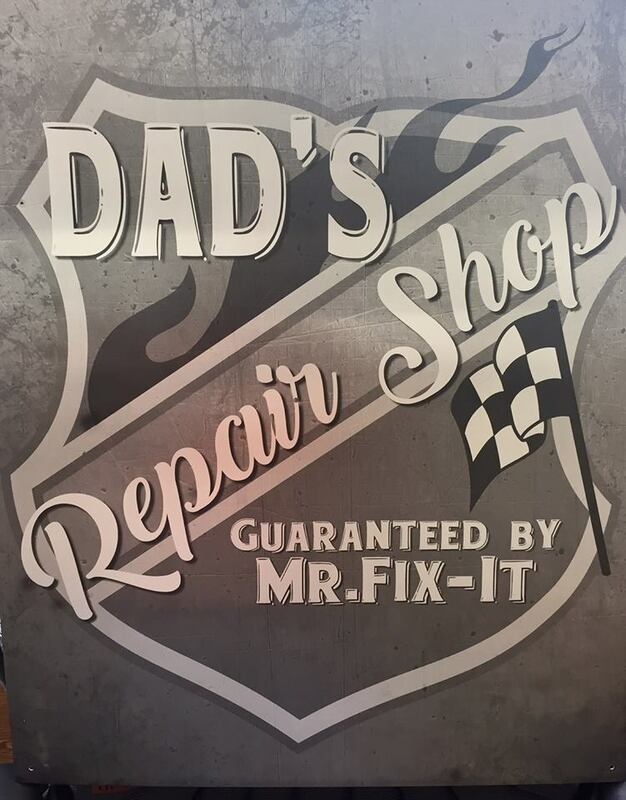 I had an idea for a Metalphoto® sign and with the help of one of our Imaging Specialist, who also happens to be a graphic designer, we came up with this pretty awesome looking sign. Needless to say my husband loves it and I found the perfect gift for my guy. Metalphoto® is perfect for outdoor applications – it’s certified for 20+ years and is not affected by chemicals, heat, abrasion, salt spray or sunlight. Luckily Christmas is still months away so I have time to think about the next “perfect gift”! If you’d like to order a “Mr. Fix-It” sign, click here.